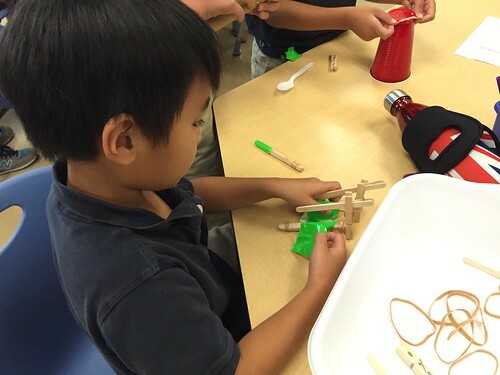 Today in Lower Division STEM Club our students started building catapults! We watched and discussed several videos about catapults (both large and small) and discussed some of the physics of catapults, including potential and kinetic energy. 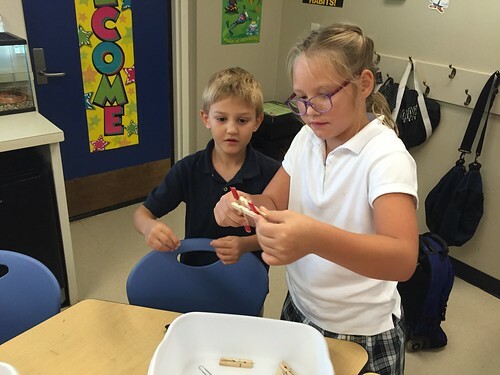 Students were introduced to a variety of catapult building materials in our "STEM store" and filled out budget sheets before "going shopping" with teammates using $1000 "STEM store dollars." Then catapult construction began! We'll be continuing to build our catapults next week, and will be launching them for both distance and accuracy. 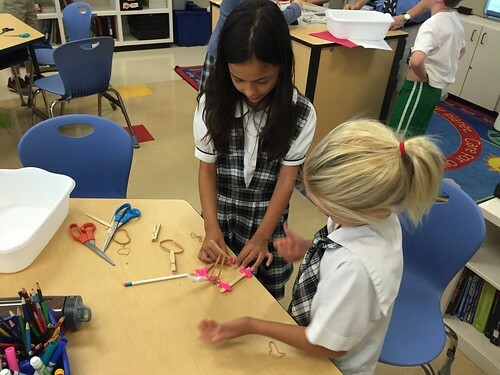 An album of 23 photos from our catapult builds today are available on Flickr. 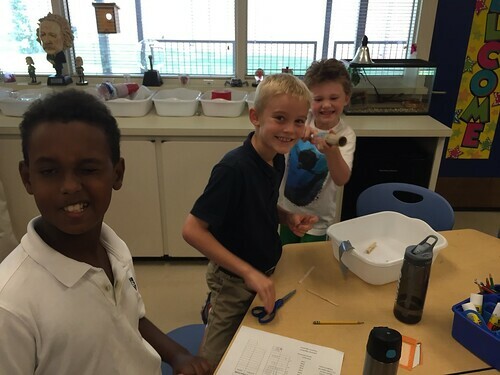 In Fall 2015, several opportunities for students at Casady School in Oklahoma City to learn about and practice STEM skills are available. 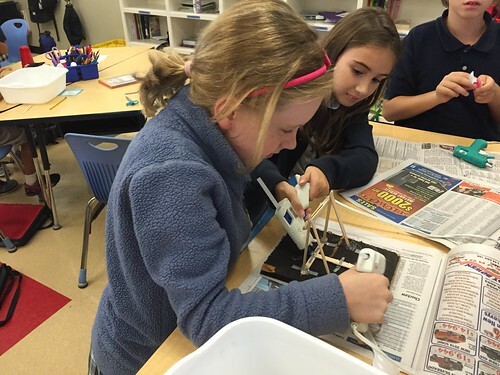 These include a lower school (grades 2-4) after school STEM Club on Tuesday afternoons, and an upper division (grades 9-12) STEM Club during Activity Period.